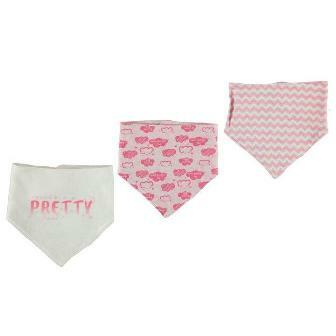 These Crafted Dribble Bibs Pack of 3 are a practical essential for any baby. Its soft to touch cotton construction features a touch closure fastening to the back for a easy fit and removal. Each bib is designed with an individual design for 3 alternative looks.